What do you feed your monkey? As I mentioned in the diet section of this site, it is important you take the necessary time to prepare the diet of your monkey(s) and also to provide a varied diet. While that is all easier said then done, many primate owners often have a hard time coming up with changes in the diet of their monkeys. 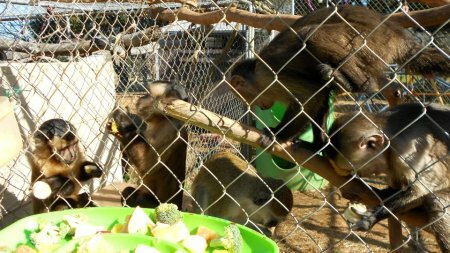 On top of that, the goal of this blog is to point out that many primate owners often deviate from the suggested ideal diet just like us human primates. While reading this blog, please keep in mind that the goal of this page is only to inform you what others feed their monkeys, not to help you choose the right diet. Special thanks to Irwin for the above picture. » Read more: What do you feed your monkey?